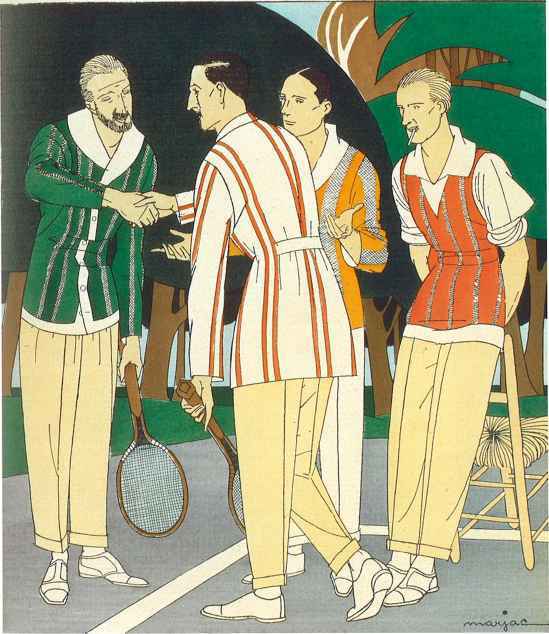 Marjac, 'Tennis Doubles', Monsieur, August 1921. Colour lithograph. Courtesy The Stapleton Collection. Rodier, a long-established textile manufacturer, teams white flannels with casual knitwear for tennis. 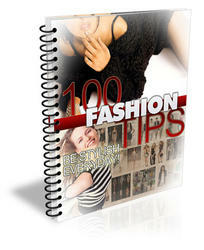 Sportswear, much of which was made from knitted fabrics, was fast becoming part of mainstream fashion. Marjac, 'Pour Voyager', Monsieur, October 1921. Pochoir print. Courtesy The Stapleton Collection. 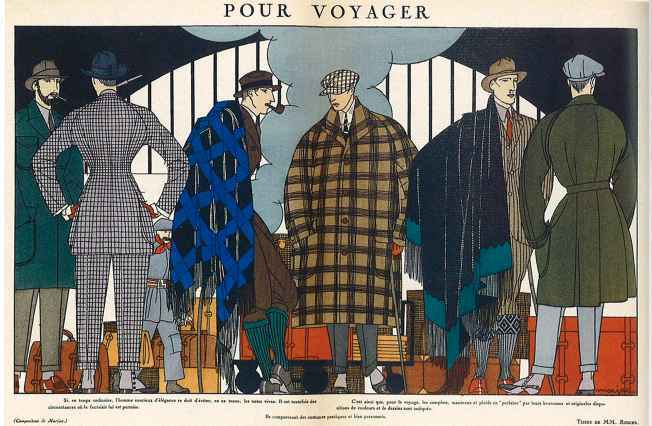 A marvellously eclectic range of dandyish travelling clothes in tweeds and plaids by Rodier. The tweed cap was an item of working and boys' dress that entered the fashionable male wardrobe. 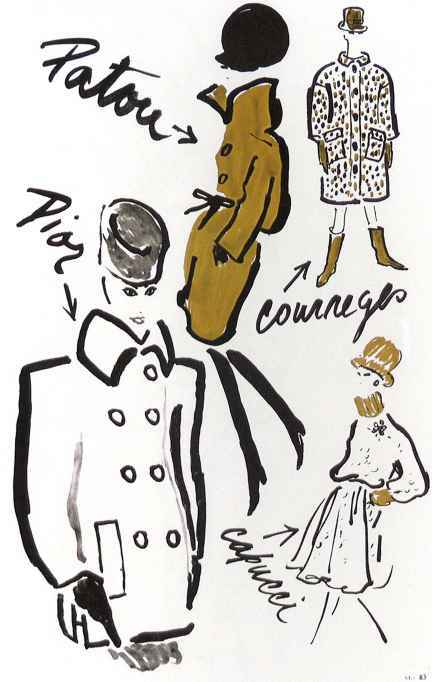 Marjac, 'Pour Chez Soi', Monsieur, November 1921. Pochoir print. Courtesy The Stapleton Collection. 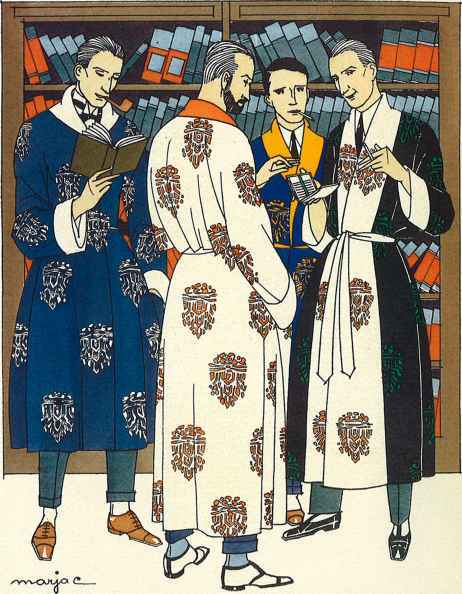 Startling oriental motifs decorate these dressing gowns. The caption invokes the 18th century, when such gowns were frequently worn by men relaxing at home, or even as informal dress. 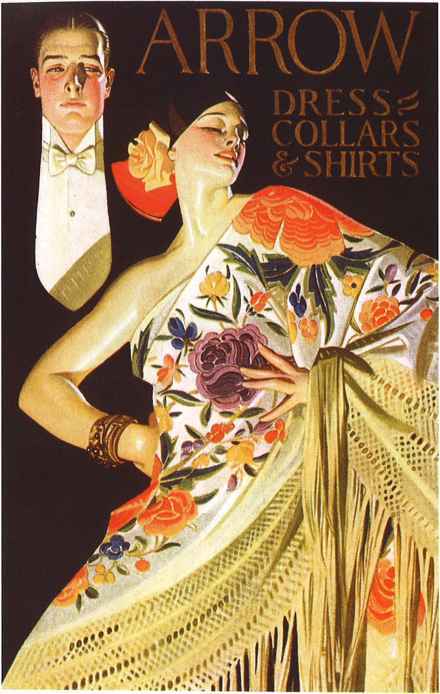 J. C. Leyendecker, Advertisement for Arrow Coilars and Shirts, 1920s. Courtesy The Advertising Archives. 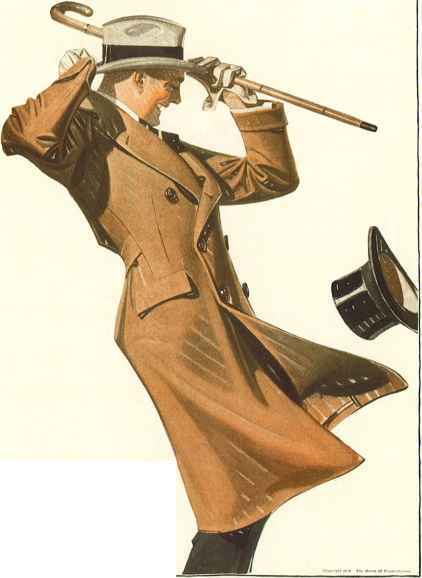 Leyendecker continued to work for the Arrow Company until c.1930. The starched wing collar and shirt front remained in use as formal dress wear for men until after the Second World War. Embroidered shawls from the Far East were extremely popular accessories during the twenties. How to paint like leyendecker?